Li-ion batteries – What you need to know about them! This means you can recharge your iPhone battery before it’s completely drained—with no consequences. Conversely, older nickel-centric batteries would “forget” what their capacity was, so it was advised to fully drain them before charging them back up again. That’s a huge pain, which makes Li-ion batteries a more convenient choice for electronics. That means you use them up and then they die. It’s the circle of life. 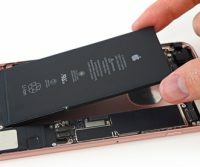 Li-ion batteries primarily degrade over charge cycles—according to Apple, an iPhone retains up to 80 percent of its original capacity after 500 cycles. To put that into perspective: If you charged your iPhone every night for a year and a half, the battery meter would still read 100% after a full charge—but it would only last 80% as long as it did when you first got it. So if you’re an Angry Birds champion or a Twitter power-user, you might want to replace your battery sooner than that year-and-a-half-mark to enjoy optimal (untethered) play-time. … Which helps prevent them from becoming damaged or dangerous. This built-in governor works in conjunction with other safety systems, so you can keep your already-charged iPhone plugged in overnight without damaging the battery. The Lightning cable is part of that safety system. MFi Lightning cables include a chip that protects the device from dangerous voltage spikes and thermal runaway. In order to cut costs, many inexpensive Lightning cables (like the ones you see at the gas station) don’t include the MFi chip. So if you’ve already shelled out the dough to buy an iPhone, spend the extra cash and get an MFi-certified Lightning cable—it’s cheaper than replacing a fried iPhone. 4. We’ve all seen those horrifying pictures of swollen batteries circulating the interwebs—but how exactly does that happen? A Li-ion battery becomes swollen with gases due to physical damage or malfunctioning protection circuitry, resulting in overcharging. The battery pack itself acts as a safety system by containing the offgassing. So if you encounter a swollen battery, immediately dispose of it properly. If you live in North America, you can contact Call2recycle at 1-877-723-1297. Temperature is a key factor in keeping your Li-ion batteries healthy and happy. Batteries exposed to high temperatures (over 100ºF) through multiple charge cycles will suffer reduced longevity. Like your pet chihuahua, your phone will appreciate not being left in a hot car. Do not keep a Li-ion battery fully discharged for long periods of time. The battery’s protection circuit will cut the battery off when it drains too low, but it can only do so much. 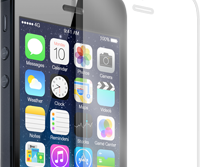 The battery will continue to slowly self-discharge, damaging the battery’s capacity and ability to recharge. TLDR: Like any muscle, batteries get tired—but that doesn’t mean it’s the end of the line for your smartphone. Even if manufacturers would rather sell you a new device, you can get past those esoteric screws and get your current device back on track. Or, better yet, fight for your right to easy-access batteries. Who wants a phone with an expiration date anyway? JS Information now offers iPad 6 repair services for broken digitizers or LCDs. 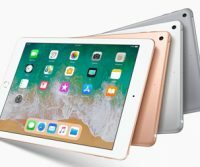 Call us today to get your iPad 6th Gen repaired. 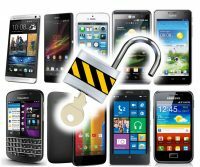 As of Dec. 1, cellphone customers can ask their provider to unlock their phones free of charge, the CRTC announced June 15, 2017. At the same time, it said, all newly purchased mobile devices must be provided to customers unlocked. In March, the CRTC reported that Canadian telecoms made a total of $37.7 million last year by charging customers to unlock their cellphones — a 75 per cent jump in that source of revenue compared with 2014. 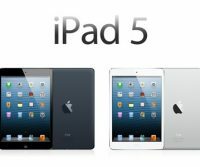 We now offer iPad 5 repair services for broken digitizers or LCDs. Call us today to get your iPad 5th Gen repaired. 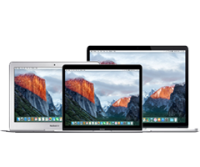 We offer Macbook repair for most issues with any Mac. From older MacBooks to the new MacBook Pro and MacBook Air models. 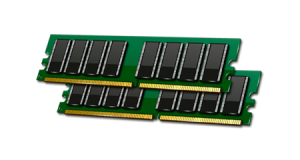 We can replace your broken display and upgrade your hard drive or memory. Update your operating system, replace a defective keyboard, trackpad, battery and more. Please contact JS Information today for repair availability and pricing on selected services. Samsung cell phone repair for the Greater Moncton Area! After several years of specializing in Apple products, we are taking the plunge. 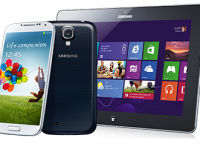 Yes, It’s time to expand our Samsung cell phone repair services. JS Information now offers cell phone and tablet repair services for Samsung and other popular brand products such as : HTC, LG, Google, etc.). As always, our repairs come with a 90 day warranty on parts and service, and we do offer free diagnosis.